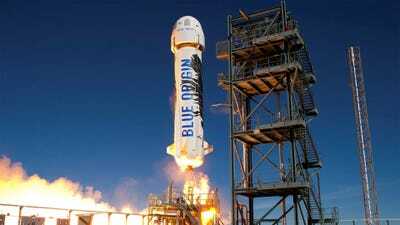 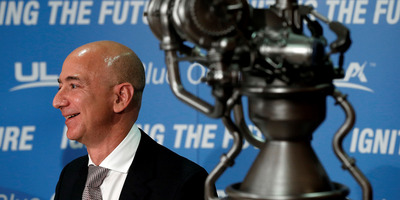 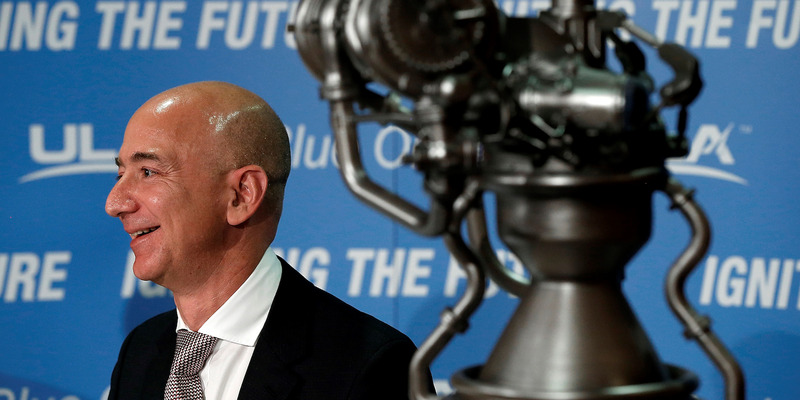 Indeed, Bezos sells $US1 billion a year in Amazon stock just to fund Blue Origin’s operations. Blue OriginBlue Origin’s reusable New Shepard suborbital rocket launches toward space in 2016. 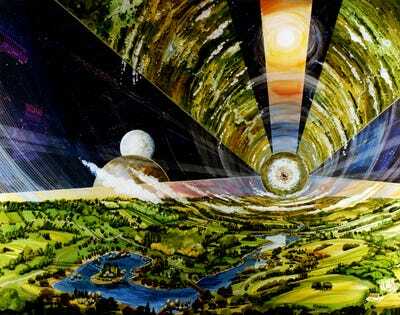 NASA Ames Research Center/Rick GuidiceAn illustration of a space colony.